These are my daughter’s old shoes. 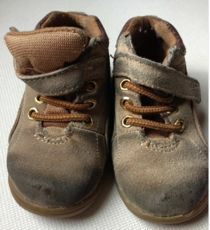 We just took them out of the closet to pass them on to her younger brother who’s recently started walking, but when I took a closer look at them, I wondered if their best days weren’t behind them. Call me crazy, but I immediately started decoding all the signs and indicators of their usage. Yes, to me, data is everywhere. We are constantly gathering, interpreting and acting on data. Think about it. Every time you walk into a new situation, your “decision support system” starts to process past data to help you adjust to the new experience. Your brain is actually modeling those signs and symbols (data), building connections and classifying them into categories. What if you wanted to understand how these shoes were used? Do you think you could reconstruct the past simply by looking at them? There are lots of signs and indicators: a broken ankle wrap, a heavily-rubbed toe cap, and many holes. Now let’s move from data gathering to data modeling. When we put all this data to work we can build a great profile of how the shoes have been used. It looks like they went through a lot of kicking and dragging, and plenty of crawling. If you look at the soles, though you’ll see that they’re unworn. So, it seems the upper parts of the shoes were used more than their bottoms. This observation might even give you a few ideas about how to improve shoes like these and make them more durable. This is exactly what we call improving your product using customer footprints. In this case, the footprints are literal! As a data scientist and microfinance practitioner, I am always searching for signals and indicators that show how poor people are using products and services. I believe the best way to understand their behavior is by analyzing their footprints. This data can come to me in various formats (e.g. digitally or on paper) and platforms. I often have to put in a lot of work before I begin analysis, but if done correctly, it gives me a lot in return. In an ideal world, records would have unique customer IDs and information about the products that each uses as well as past transactions. If you are really lucky you may also have some socio-demographic information like age, gender, rural/urban indicator, branch or location, household composition, family size, and poverty level. The more data the better. Your data set can help you answer some key business questions: What’s the penetration of product A at different locations? Is this affected by poverty level or household composition? What about understanding our customers’ lifecycle? Do we see differences in outstanding balances at different customers’ tenures? Our recent study on implementing data analytics provides an exhaustive list of business questions and analytic approaches. At Grameen Foundation we are working towards helping pro-poor organizations crunch their numbers, understand their customers better, and make more informed decisions. We are also refining our data collection process, using the right set of mobile data collections tools and state of the art analytics to better understand the challenges and needs of the poorest. After all, it’s only by gaining better insights that we will contribute to the development of more tailored products and services – from baby shoes to microfinance products– and that’s essential if we want to improve the lives of the most vulnerable people in our planet. Researchers at the Indian Center for Micro Finance have turned to work on Kenya's M-Pesa in an effort to understand how similar payment schemes might be implemented in India. 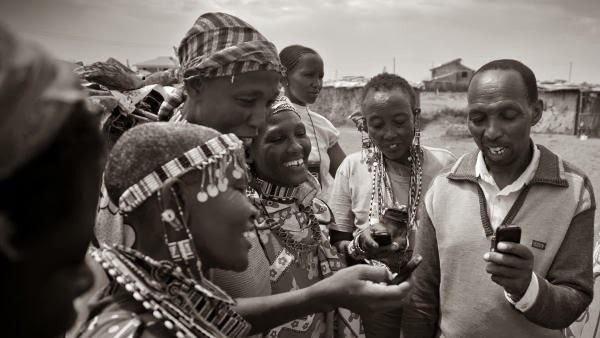 In a recent article, IMTFI fellow Deepti Kc and IFMR programme head Mudita Tiwari asked what lessons can be taken from the vast amount of work that has already accumulated on Kenya's M-Pesa scheme and how they can help India's emerging mobile payments system. Despite initiatives by a number of different partners, the researchers describe the uptake of mobile payment technology among the low-income population of India, as "cautious". Over- regulation, mobile companies targeting the rich and the need for internet based transactions are given as reasons for the lack of a strong client base among India's poor. Nonetheless they are optimistic that lessons can be taken from Kenya's M-Pesa to tap into this market. They suggest that client protection and regulation that ensures profitability are key. They also believe a dedicated fund from the Reserve Bank of India should be created in order to promote the use of mobile payments among low-income clients and incentivize private partners to develop platforms to reach them. IMTFI researcher Jan Chipchase's work has been featured all around the web in the past month. 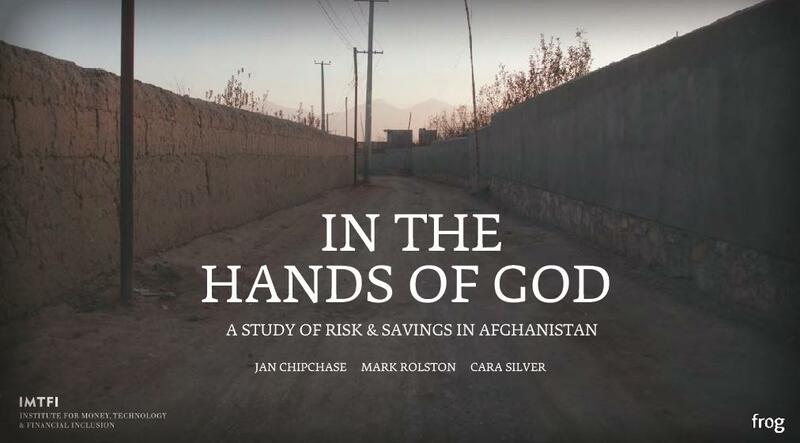 Chipchase and the team at frog were also interviewed for a recent Atlantic article on banking in Afghanistan. 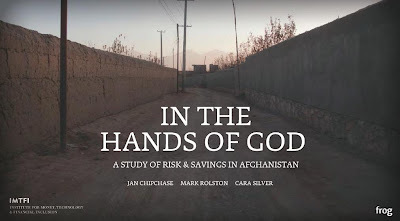 The interview draws on Chipchase's new publication with Mark Rolston, Carla Silver, and Joshua Blumenstock at frog design brings their skills photographic and ethnographic documentarians to bear on financial services, particularly savings, in Afghanistan. Their report is called In the Hands of God, and it's both lovely and thoughtful. Chipchase, Rolston, and Silver also recently wrote about their work on CGAP and for Core 77. Their series for Core 77 focuses not only on their findings but also provides a window into their experiences in the field. It is particularly worth a look for industry professionals and researchers alike. Here, they write on risk mitigation in the field, gender and research in Afghanistan, the experience of conducting this kind of research, and managing their expectations. They have not one but two excellent posts on conducting life-changing research in rural places.